Accused killer Joseph McAlpin insisted he's no monster during closing arguments of his murder trial Monday. McAlpin is charged with the 2017 Good Friday murders of Michael and Trina Kuznik inside Mr. Cars, the Collinwood dealership the couple operated together. CLEVELAND — Accused killer Joseph McAlpin insisted he's no monster during closing arguments of his murder trial Monday. 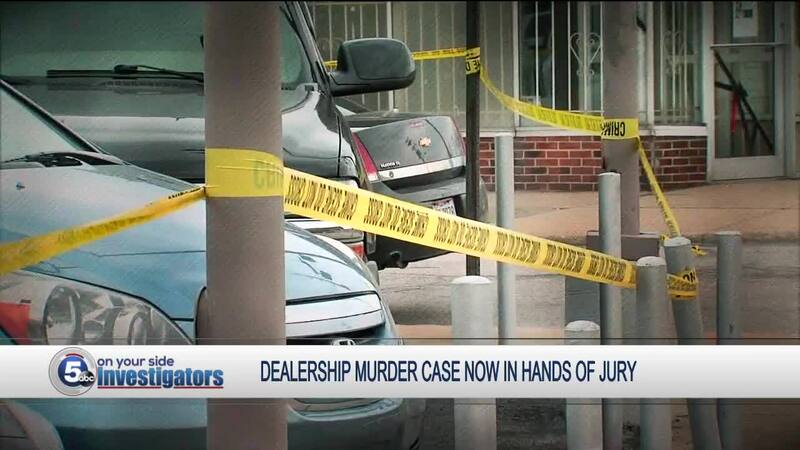 McAlpin is charged with the 2017 Good Friday murders of Michael and Trina Kuznik inside Mr. Cars, the Collinwood dealership the couple operated together. "The community was in an uproar," said McAlpin, who's representing himself at trial. "We all know, the community's in an uproar, the commissioner or whoever it is, the councilman, we need answers now and they're blowing down, make something happen." But McAlpin, who's facing capital murder charges, pointed out what he called inconsistencies in the testimony against him and asked the jury to see through what he called the prosecution's smokescreen. The jury deliberated for about four hours Monday. They asked the judge to review a number of pieces of evidence from the case including videos and a photo. If they don't reach a verdict, jurors will be sequestered overnight and resume deliberations Tuesday morning.